I recently found this article thanks to a post from @Beatbullying on Twitter, and thought I would share it with everyone, as it is essential knowledge. 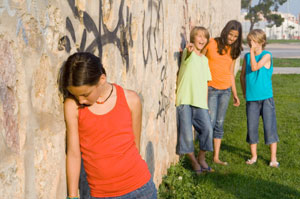 One of the major issues with bullying is, aside of course from the bullying itself, the fact that many parents can find it difficult to tell if their child is being bullied in the first place, as it is perhaps not discussed enough. In addition to being observers, parents must develop good communication with their children. There should be daily time set aside to discuss the child’s experience in school or school related activities. These should be free talks more from a peer to peer dynamic. Parents should not present themselves as investigators but rather interested listeners to their children. When children discuss their feelings or concerns this is not a time to demean or criticize. It is a time to be empathetic and reflective on what the child is expressing. All of this requires, of course, that the parent learn to be ACTIVE LISTENERS!! !